This promotion is valid for deposits from $200 to $1,500. 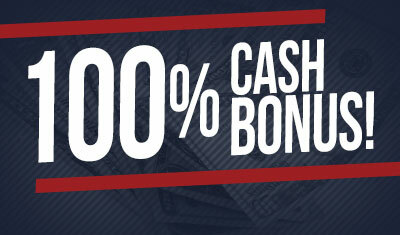 Maximum bonus offered is $2,250. 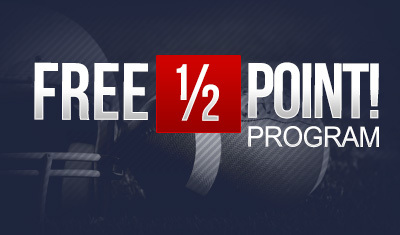 This promotion carries a 20x rollover. 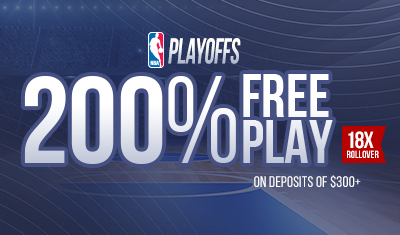 This promotion will be available for eligible deposits received between May 27th until the last game of the NBA Finals, 2018. Our customers are required to contact our Customer Service Department in order to claim the Bonus. 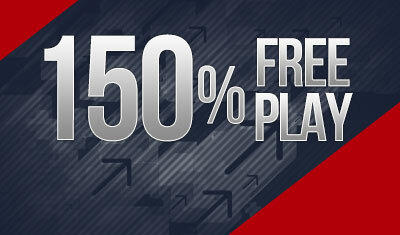 The minimum deposit amount required for the 200% Free Play Bonus is $200 USD. This promotion carries a 20 times rollover requirement, prior to withdrawal processing. For the purpose of calculating the rollover requirement please make sure to add the free play amount won to the original deposit amount and multiply said figure 20 times.